Kawaii is the Japanese word for cute, loveable, or adorable. 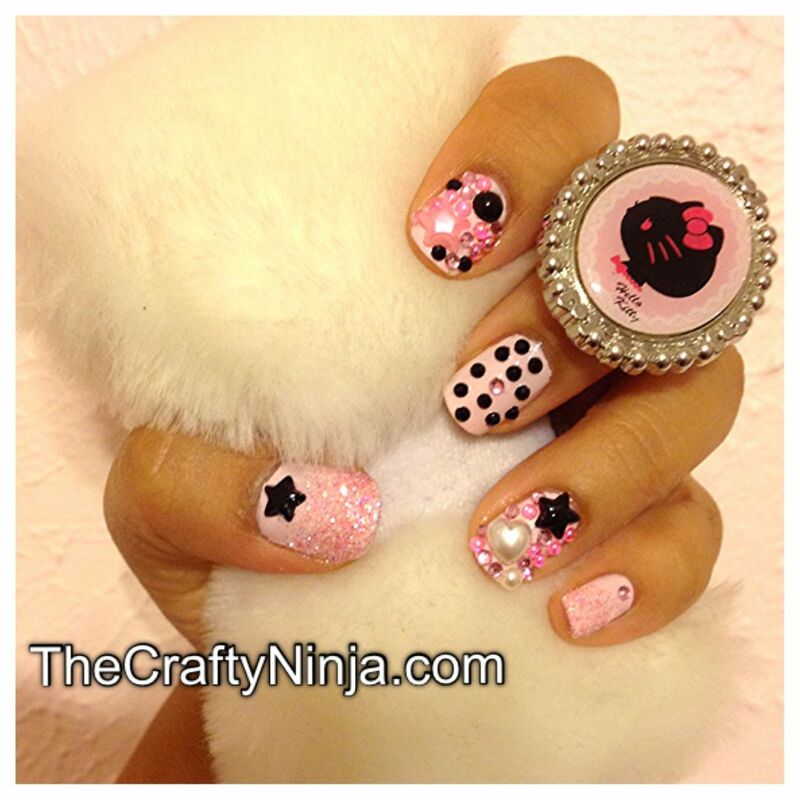 I am obsessed with Japanese fashion, nail art, food, culture, and Kawaii Japanese girls. Decoden or deco are decoration pieces such as miniature sweets, bows, hello kitty, resin objects you can put on your phone cases, mirrors, nails, etc. Check out my other Decoden iPhone case here. Supplies needed: Decoden: Stars, Hearts, Flat back pearls, Bows, Hello Kitty, and Rhinestones. To create this look I use Finger Paints Base Coat, then Essie Fiji. Next I applied Finger Paints Top Coat to glue the deco pieces to my nails. Using a Magic Pick to pick up the rhinestones and apply them to my nails. 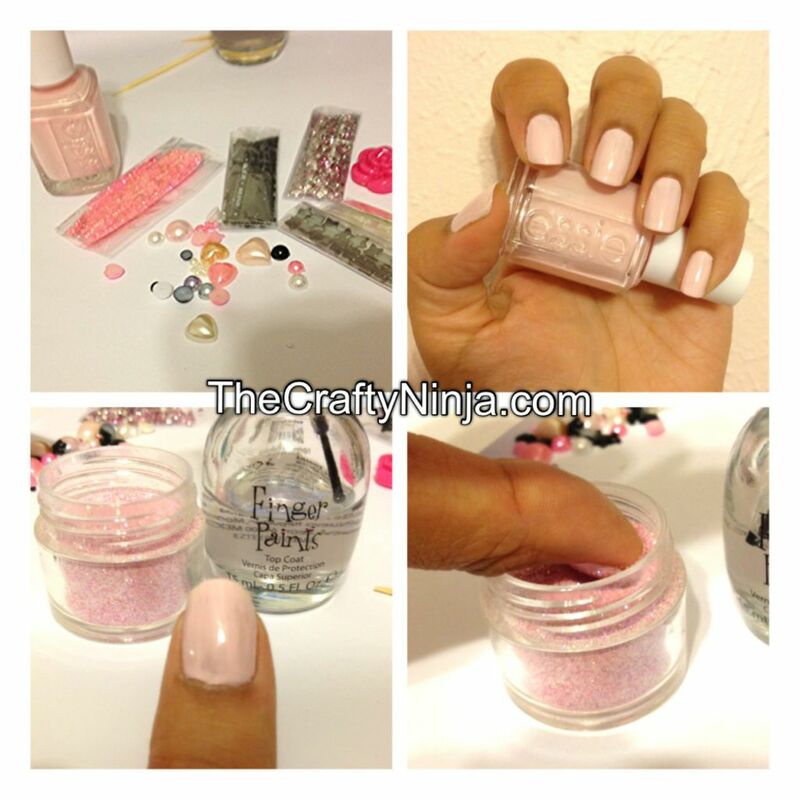 To create the glitter dipped nails I painted with top coat then dipped it into the glitter. When I was finished decorating I seal everything with the top coat.